Maybe wait until you try this on your own Mac. Several iTunes users have taken to the Apple Discussion forums to complain about iCloud Music Library — part of the iTunes 12.2 update — has destroyed their music libraries. Discussions user Tuff Ghost explains that everything was fine with his 13,000 song iTunes library, until he installed iTunes 12.2 on his Mac and allowed it to enable iCloud Music Library. When he clicked to listen to a song, it would play a completely different one, like the metadata for the files was completely incorrect. If this is happening to you, another Discussions user may have found a solution. 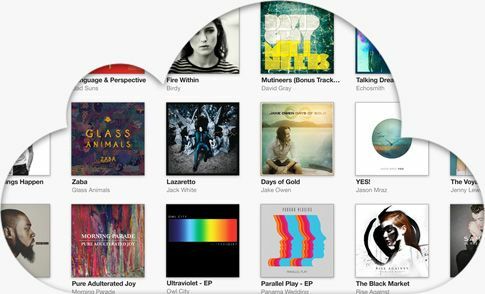 iCloud Music Library is like iTunes Match – it lets you stream songs that you’ve ripped and purchased in your iTunes library to your devices so you don’t have to carry them around wasting space. Seems like it’s also flawed like iTunes Match. Zackadelic says that all you really need to do to fix this all is to replace the .itl file in your iTunes Library folder to the previous one, and all will work as before. Just don’t enable iCloud Music Library again. Your music library should be restored to perfection! If it doesn’t work, though, you can reverse the process above and be no worse for wear. Chris Welch over at The Verge thinks the real issue might be the application of DRM to your matched files, so you can watch out for that, too. Good luck, and let us know how it goes. Here’s hoping Apple has a fix in the coming days.